Great set for preparing breakfast! An attractive 6-Piece Stainless Steel Skillet Cookware Set for your cooking needs. Try this chefs set. These skillets are a nice size pan set and ideal for frying bacon and sausages, braising meats, sauteing vegetables, and preparing fritatas. 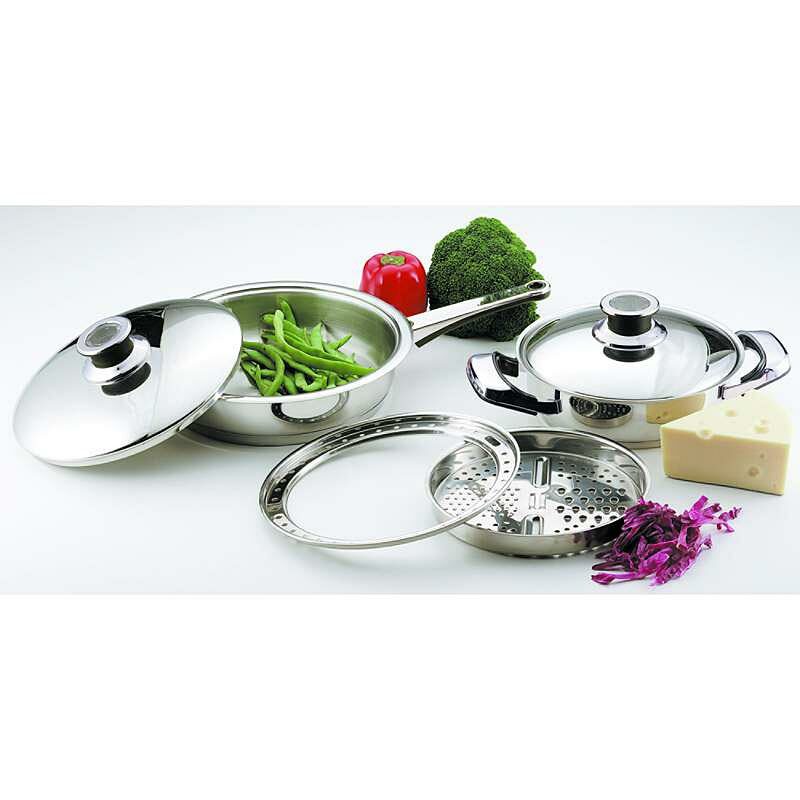 A durable stainless cookware set with very nice fry pans is a wonderful addition to any kitchen. Grater and grater adapter ring - rests inside a smaller skillet or in the adapter ring in a larger skillet. Large lid knobs Allow a firm grip when uncovering hot foods. Grater Useful for adding food such as cheese, onion, garlic or vegetables to ingredients in the pan.